Disasters often strike at the worst possible time, throwing normal operating procedures out the window and ill-prepared organisations into chaos. Nobody can entirely prevent crises from happening, but with well-structured contingency plans it's possible to limit the fallout. But what happens when that well-structured preparedness falls short? The unfortunate answer is often damage to people, property, the environment and almost always your company's reputation. Contingency plans can fail for any number of reasons – here we outline the seven most common. A contingency plan is not a static document. While a great many organisations treat their contingency plan with a “once finished, twice forgotten” attitude, to protect its value you must ensure your contingency plan is kept up-to-date. Failure to regularly revise the document, as circumstances change and threats develop, can result in slowed disaster response, vulnerable security systems, and jeopardised employee-welfare, as well as a lack of legal compliance. Misunderstanding and miscommunication are two of the greatest threats to contingency plan success. Relevant, accurate and timely information is the lifeblood of effective crisis management, and no matter how good your team is, it's essential they have the right tools to communicate effectively. If the information contained within the document is not clear, coherent, and easy to follow, then misunderstanding will ensue and the plan will fail. In the incident and crisis management arena, just knowing the theory isn’t sufficient. Without regular testing, deficiencies in the plan that might only cause issues in practice aren’t identified and employees fail to gain practical insight into their responsibilities. While using virtual testing of your contingency plan can alleviate many of these concerns, running a crisis management simulation is the only accurate means of fully testing viability. 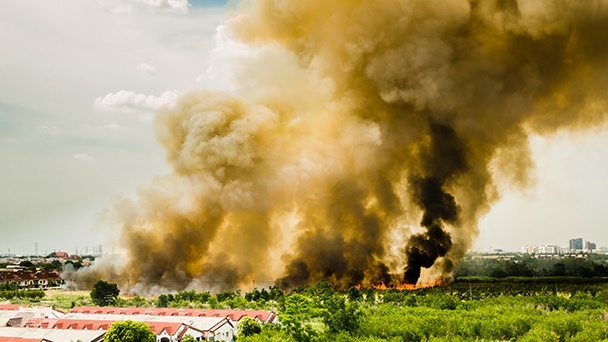 Having a contingency in the event of a fire is common, but a dedicated response plan for what to do in the event of a cyber-attack or an act of violence is much less universal. A single contingency plan cannot hope to account for the diversity and variety of possible risks present in the current business climate. But using risk assessments to determine which scenarios are the most likely to occur can help you to plan and prepare accordingly. Authorities throughout several industries require organisations to meet a certain level of preparedness. Even if your current contingency plan fulfils its job well, if it doesn’t meet industry requirements – often comprised of a data backup plan, disaster recovery plan, emergency mode operation plan, testing and revision procedure, and applications and data criticality analysis plan – then non-compliance penalties can be issued. It’s not enough that one person knows how to act in a crisis. The purpose of the plan is to give every employee a shared understanding of what needs to be done and how to do it. Making up-to-date copies of all relevant documents available at multiple locations will ensure that, when disaster strikes, the plan details are easily and immediately retrievable. A primary benefit of contingency planning is that it enables your organisation to continue to operate even after a disaster. However, if those doing the planning don’t have a genuine appreciation of what assets and resources are required to keep your organisation running, then, even if the contingency plan works, the result may still prevent normal service from resuming. Including the relevant employees during the planning stage can help to prevent this risk from occurring. Ultimately, the seven common contingency plan failures we've discussed stem from an insufficient understanding of what a contingency plan should include. Many are fighting a lonely battle to improve security and contingency planning in their workplace, and guidance in these areas is not always easily found. Whether you’re in the process of starting your contingency plan or have encountered a sticking point, you will get specific advice on how to write an emergency plan and how to successfully implement it in your organisation with our handy guide. Download it here for free.